Richard Lucente - Tabas and Rosen, P.C. Richard D. Lucente joined Tabas & Rosen, P.C. as a law clerk in 1981 and became an associate with the firm after graduating from Temple University Law School in 1982. He has been the managing attorney of the firm's New Jersey office since 1984. His practice primarily concentrates on personal injury litigation. It also includes health care receivables. Mr. Lucente received a Juris Doctor degree from Temple University School of Law in 1982. He graduated from the University of Pittsburgh in 1979 with a Bachelor of Arts degree. 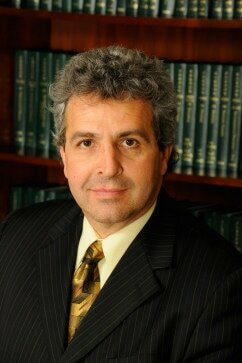 Mr. Lucente is an active litigator and was admitted to practice by the Pennsylvania Supreme Court in 1982. He was also admitted to practice by the New Jersey Supreme Court in 1984. In the course of his practice, Mr. Lucente has also been admitted pro hac vice in the states of Florida and Maryland. He has also been admitted to the bar of the United States District Court for the Eastern District of Pennsylvania. Mr. Lucente is a member of the Pennsylvania and New Jersey Bar Associations, the Philadelphia Bar Association, the Pennsylvania and Philadelphia Trial Lawyers, the Delaware County Bar Association, and the Association of Trial Lawyers of America.